Don’t miss any of Mammarancia’s super juicy offers! Subscribe to our newsletter and keep up with all the latest news. 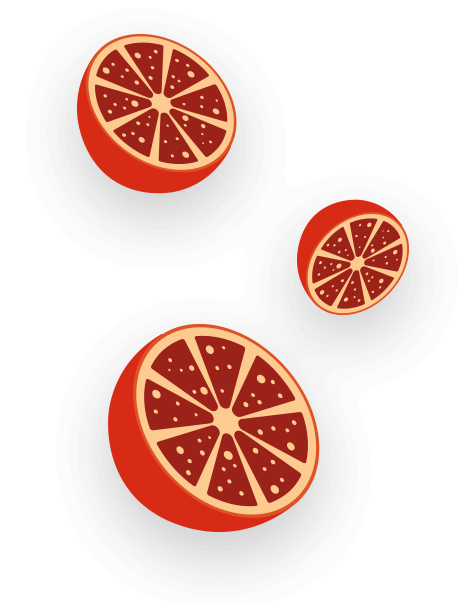 To receive news of our exclusive promotions, invitations to sample products, and many other amazing offers, send us your email address and get your taste buds ready to experience the tastiest oranges ever! Mammarancia grows on the slopes of Mt. Etna. It is actually the heat from the volcano that produces the red pigmentation. Moro and Tarocco blood oranges, Navelina blonds, lemons, clementines and many more. Our products are genuine and so tasty precisely because they are grown using environmentally-friendly methods and with quality as our ultimate goal. From jam to beer, and not forgetting the products used to make cosmetics, a wide range of products are available directly from the world of the orange. 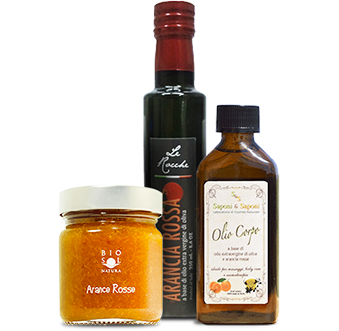 Send as a gift, or buy for yourself, taste and quality in a box packed with irresistible products, available for immediate delivery. 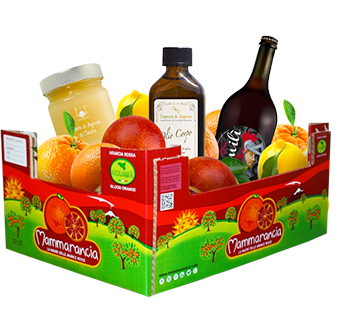 There are three options: the "Biobox", "Mammarancia" and the "Sun and Etna". Choose your favourite! Sweet-smelling and rich in nutritional properties, it is also excellent for making desserts and infusions. It has digestive and soothing effects and its essential oils have antioxidant properties that benefit the cardiovascular system, lowering cholesterol levels. Fragrant, compact and very soft, but not too watery, it melts in your mouth. It is the heart of the fruit and each segment gives off an irresistible bouquet of flavours and aromas. Very sweet and fresh, it is rich in minerals and vitamins. It has digestive properties and helps to stabilise the digestion. It also acts as an alkalising agent (despite its slightly sour taste) and has anti-inflammatory properties. 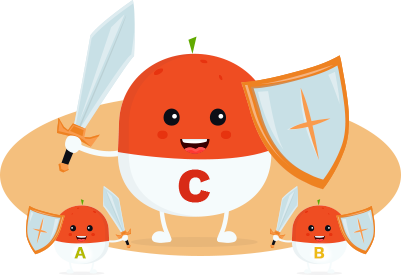 The most well-known, vitamin C, good for combating flu and seasonal ills, is not the only vitamin in our fruit. Every orange is also rich in vitamins A and B known, among other things, to promote the absorption of iron. 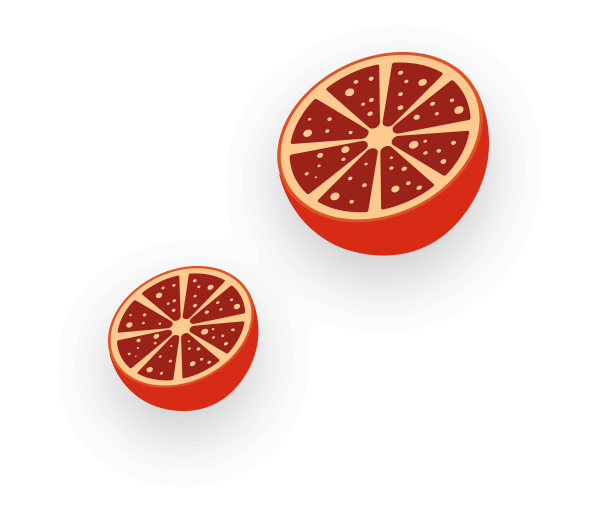 I tasted blood oranges several times in Hungary, but not like Mammarancia’s! Love them! I received your oranges on the Thursday morning after you shipped them on Monday. Only 3 of them were a little bit damaged by transport (some cracks) but still o.k. to be eaten. I am very pleased with their taste and quality. I know this type of oranges since years and bought them every year in the local shops when they were in season. However, it is more and more difficult to find them now in the shops so I was very pleased to find them on your web-site. Also I found that your oranges taste much better than the ones I remember from the shops. They are really excellent! Congratulations for this great product! The only thing I missed on your web-site is some instructions how to store them best (temperature, humidity, how to handle them..) so that they keep fresh for a long time. This is espacially interesting for customers who order larger quantities to save shipping costs. 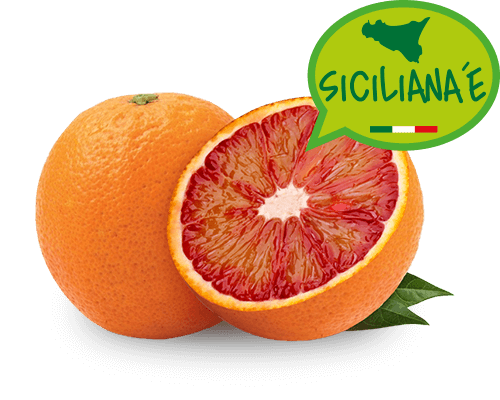 A dream becoming true: Finally I can taste REAL Sicilian oranges in Sweden! No other words but: TRULY SICILIAN!